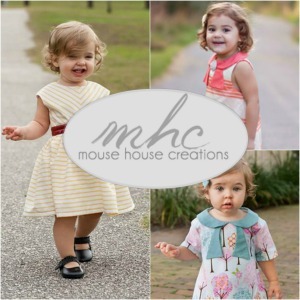 Did you see my post over at Nap Time Crafters last week? If not, here is what you missed. 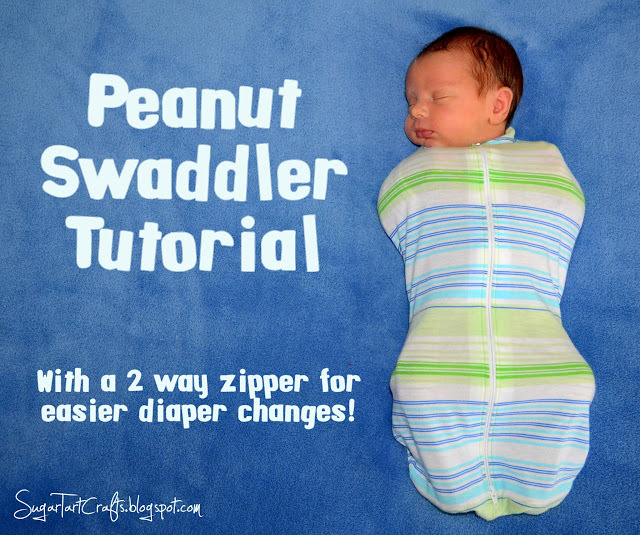 I’d like to share with you my zippered swaddler tutorial. “bundle of joy” have ended in failure, and by now you are seriously eyeing up that roll of duct tape. (most of the time), and gave up on ever sleeping through an entire night again. diaper without taking everything off and waking the baby up! could contain those tiny appendages in a way that he could NOT (never ever!) break out of. keep him quiet without the risk of overheating during the summer. 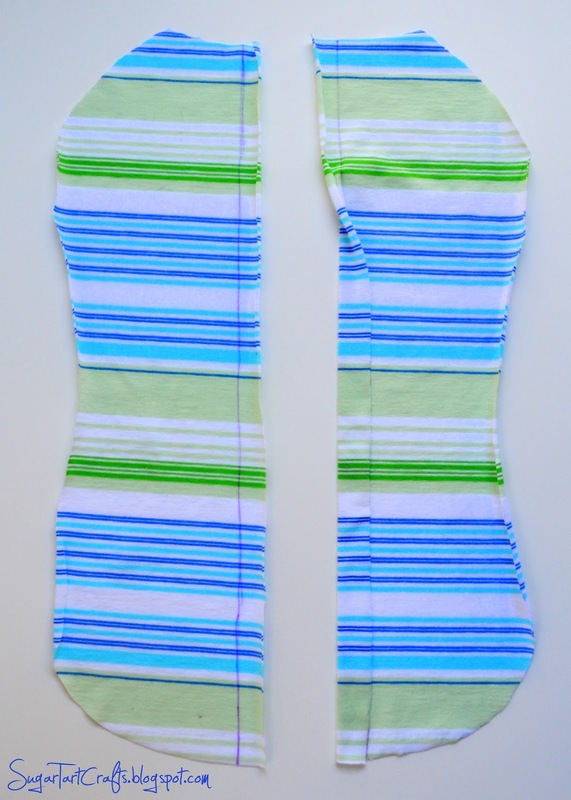 Stretchy knit fabric: something with spandex in it would be perfect. 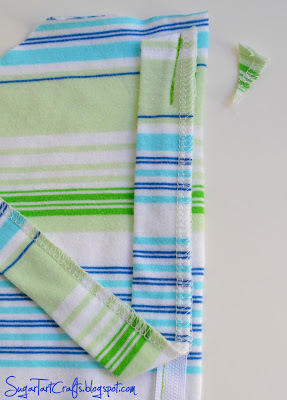 Just make sure your fabric is soft enough for a baby – I used a thrifted tee. *NOTE* -This pattern is for a newborn size. I’d say 7-13lbs-ish. If you need something larger, it shouldn’t be difficult to adjust the pattern to fit a bigger baby. 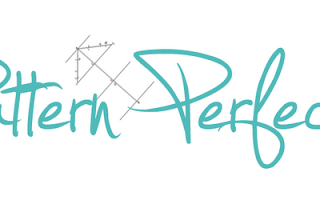 I will eventually be adding more sizes to my patterns page as Corbin grows, and I can test them out. 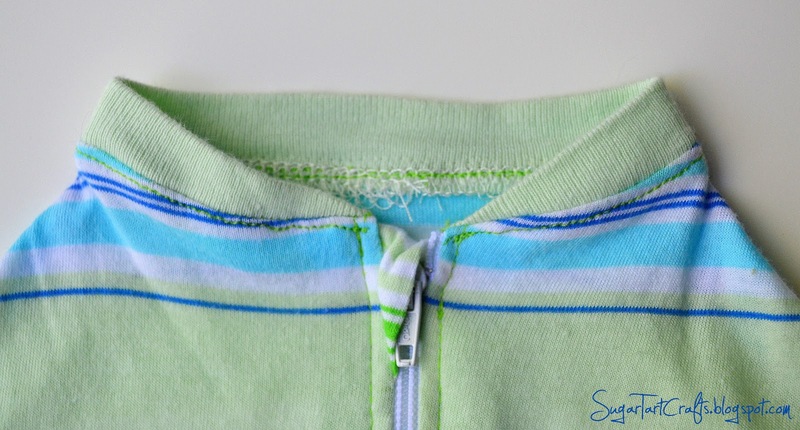 Use your pliers to remove the metal stops from the bottom of both zippers. 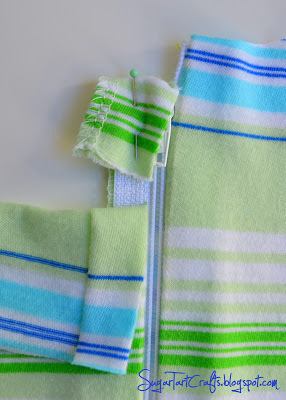 Remove the pulls from the zippers, and set aside 2 of the extra zipper tapes. so long as you have the equivalent of 1 zipper with 2 pulls. Iron the straight edge of each front piece under 3/4 of an inch. 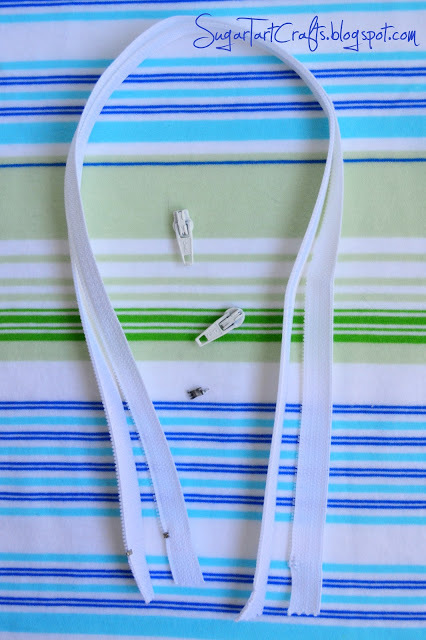 Unfold the 3/4 inch and line up half of your zipper with the crease you just ironed. 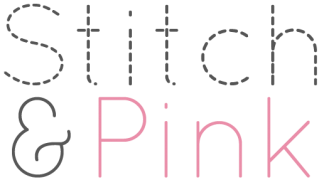 Be extra careful not to stretch the fabric as you sew, or the halves will never zip back together properly. 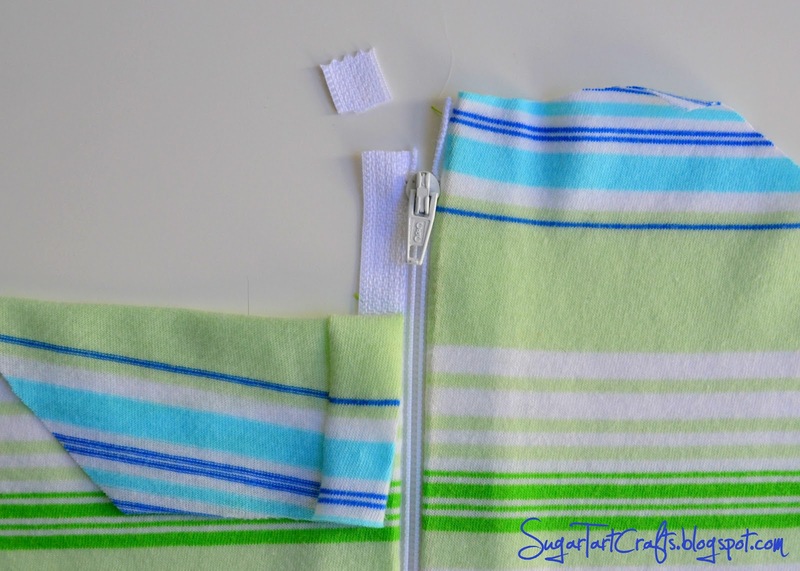 Follow steps 1-8 below to make a 2 way zipper. 1. 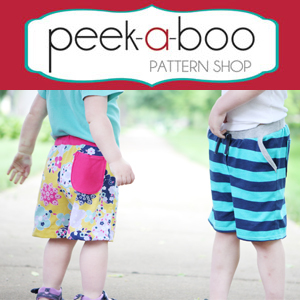 Slide both zipper halves into the curved side of a pull. 2. 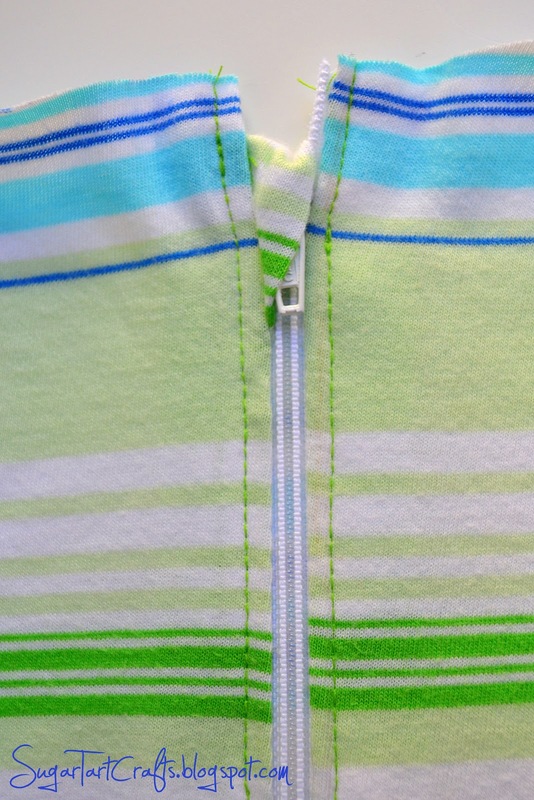 Align the pull with the beginning of the zipper teeth. 3. Use the pull to ZIP the zipper. Zip it all the way to make sure the top lines up. 4. Separate the 2 halves of the zipper tape again BELOW the pull you just attached. 5. 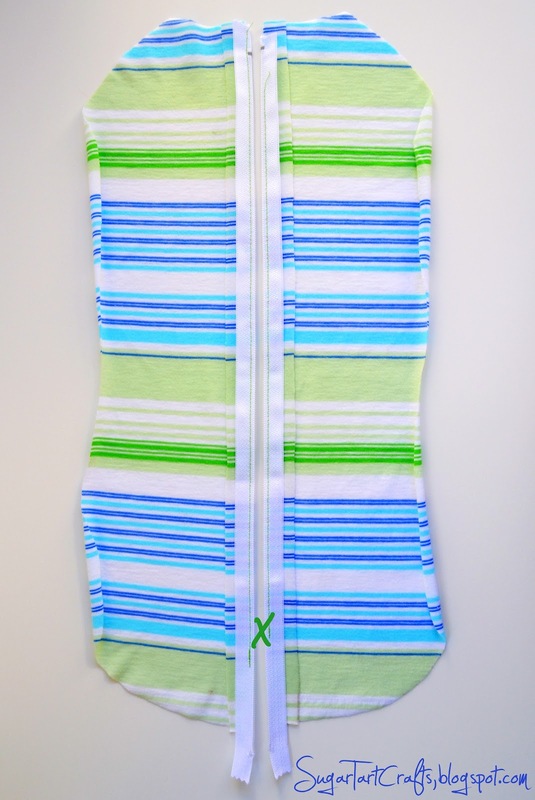 Slide both zipper halves into the second pull with the curved side down. 6. Align the pull with the beginning of the zipper teeth, and gently pull the 2 halves apart. 7. With a little wiggling, you should be able to zip (or is it unzip?) the second pull. 8. Slide each pull up and down a few times to make sure that the teeth are lining up correctly. If something feels off remove the second pull, and start the process over again at step 4.
and cut 3/8 of an inch off the top of the tape. 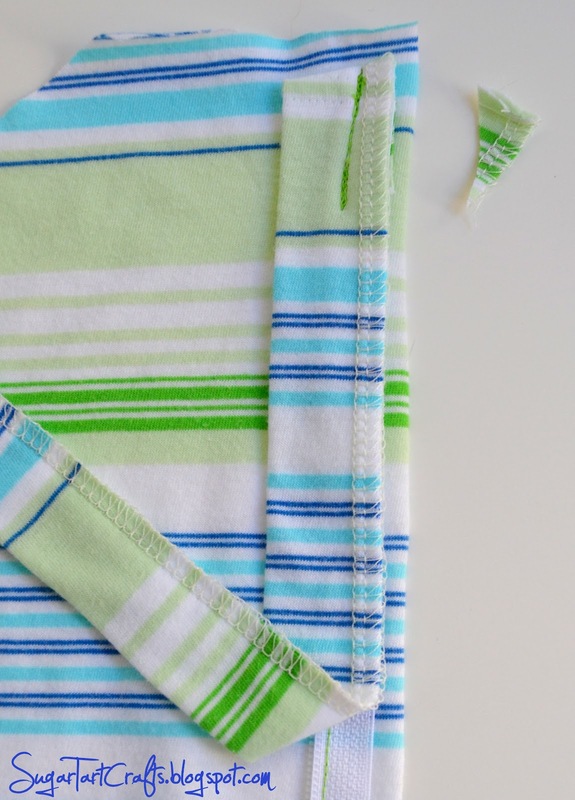 Fold the 2×24 inch strip in half and surge/zig zag along the open edge. 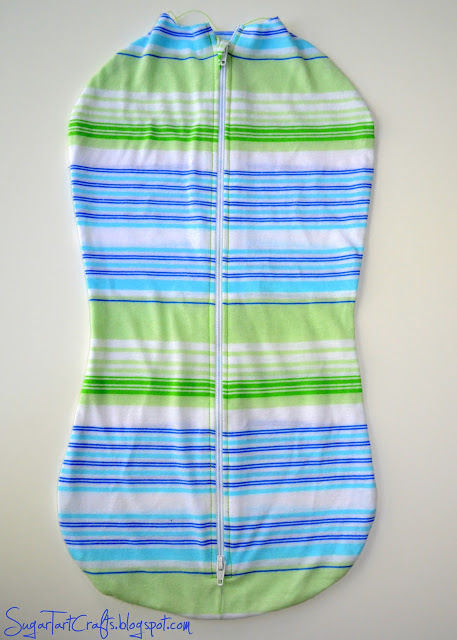 This piece will run along the zipper on the inside to protect the baby from rubbing or getting pinched. 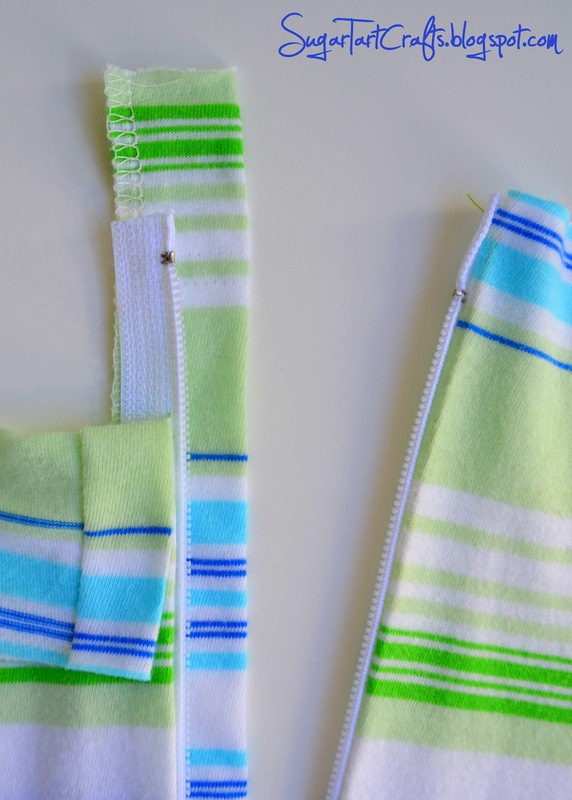 Lay the folded strip under the zipper leaving about 1.5 inches sticking out the top. 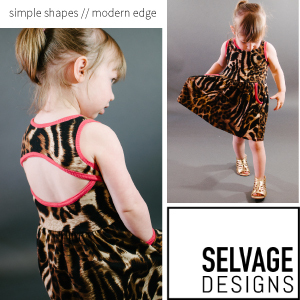 The surged edge should line up with the outside edge of the zipper. 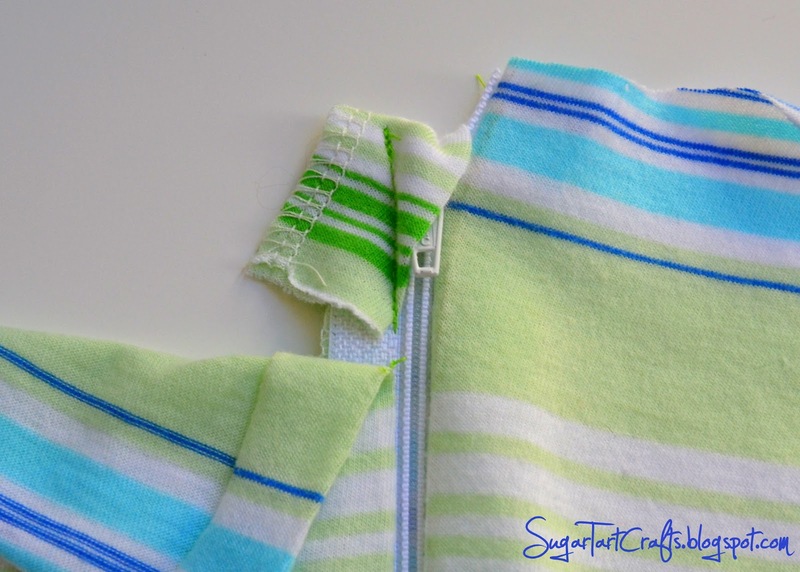 Fold the extra down over the cut edge of the zipper and pin at a slight angle. Stitch the fold in place and test the zipper a few times to make sure the fabric doesn’t catch. 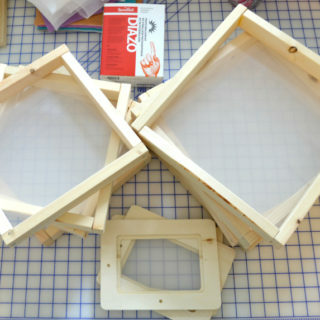 add a flap and snap on top if you wanted. 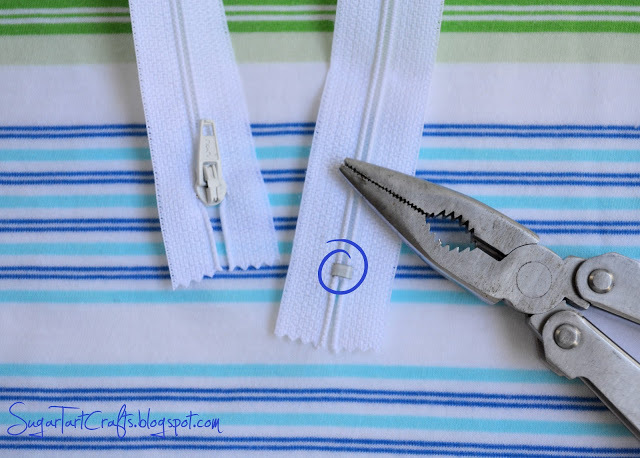 Cut off any excess overhang from the angle at the top of the strip. and stitch the strip to the zipper. You should be sewing through the strip, the zipper, and the peanut. Stitch the 2 peanut layers together at the bottom below the zipper. Top-stitch around the zipper being mindful of the strip underneath. Then trim off any extra zipper and strip length below the top-stitching. 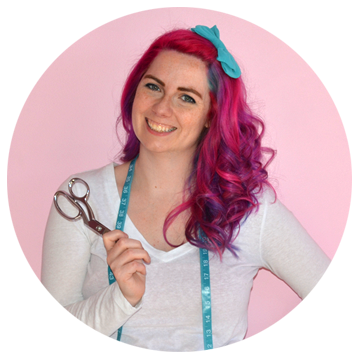 With right sides together, sew the peanut front to the back. Serge or zig zag to strengthen the edge. 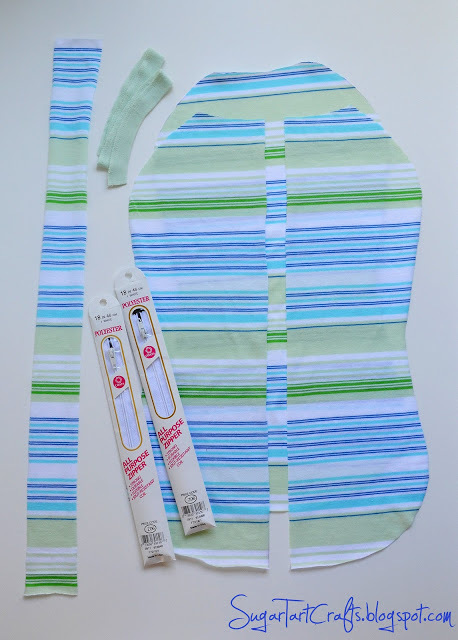 Attach the knit binding to the neckline and top-stitch in place. If you are unsure about this part, check out Option A of my video tutorial. 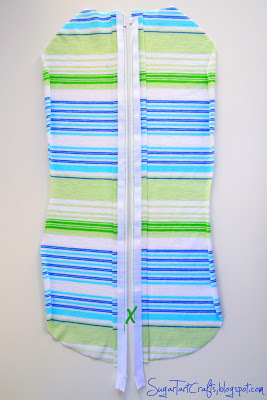 Now you’re ready to zip up your little one and hope that they get drowsy. my your tART flicker group. I love seeing all the creative versions you guys come with! I wish I had any sewing skills whatsoever! This looks wonderful! 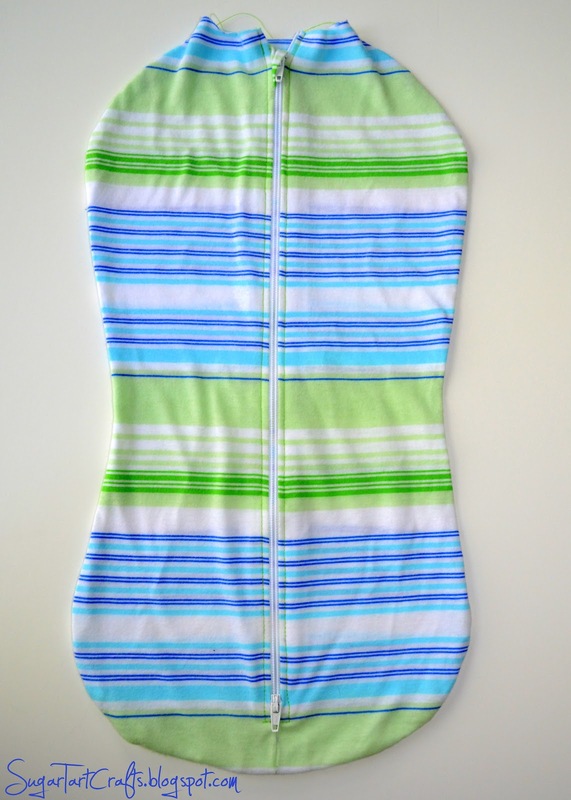 I just bought a Summer Infant "Swaddle Pod" that I'm hoping will do the trick – if only it had double zippers like yours though! Wow, that's awesome. 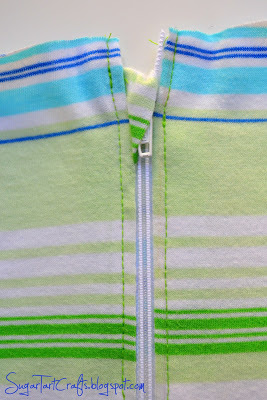 I especially love the idea of having a two-way zipper- it's totally brilliant. Looks so snuggly! The zipper instructions are fantastic! TY! wow, that zipper is genius! Awesome! we bought one of these they were fantastic but expensive, what a great tutorial to make one yourself. Oh my gosh, I would LOVE to see tiny twin peanuts! Cute overdose! I love this! Soooo much better than spending the $$$ on a wombie–thank you!!!! Haha, Funny thing is I had never even heard of a wombie until after I made this. One of my pregnant friends just described it to me, and asked if I could make one. Now I see them everywhere! Wow, adorable!!!! I have a little boy due in a couple months.. totally making this! My daughter was so fidgety and easily awaken by her movements that we had to swaddle her for nearly 7 months. I plan to be prepared for this baby JIC hes the same! Our daughter was the same way. I thought we were going to be wrapping her up until she leaves for college! 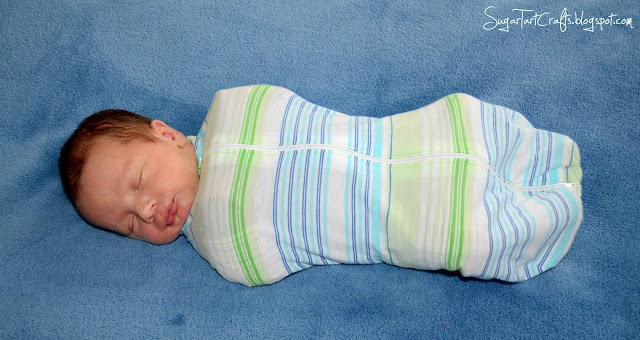 Now our son doesn't really care either way, but if I get to choose between swaddling and him sleeping until 6am, or not swaddling and him getting up at 3am…you can be that kid is getting swaddled every night! ;D Congratulations on you new little one! 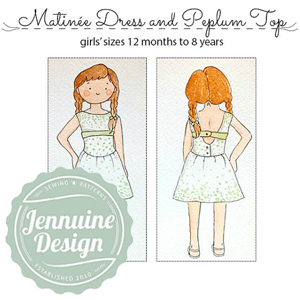 Great Tutorial, I pinned this for next time! we used a bought one of these when my son was small and he loved it – thank you so much for providing a pattern and tutorial. I'm going to share this on my FB page. 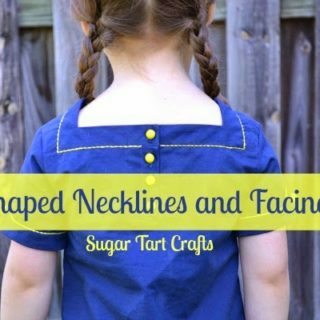 Wow!This is such a great idea,i would love to try this for my niece. 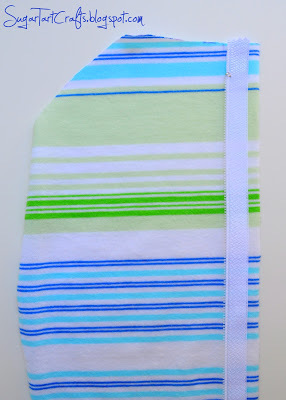 This will be a perfect shower gift for my little niece or nephew that's due January. Thanks for sharing! Great idea! And Remarkable tutorial. Mother's everywhere need to read this post. Congratulations. I have no skills with sewing, but if you ever decide to sell these, like in an etsy shop or something, let me know please! As a mom of 2 and another on the way, this looks like it would be amazing! Thanks for the tutorial! I really wish I could sew now. My name is Jennifer and I just wanted to let you know that I have mentioned your post on my blog. If there is anything you would like for me to remove, please let me know. Thanks for sharing. I can sew, but I'm not good at following written directions, even w/ pics. Do you have plans to make another anytime soon? If so, I'd LOVE to see a video tut! I know exactly what you mean about needing to "see" what is happening instead of read about it. 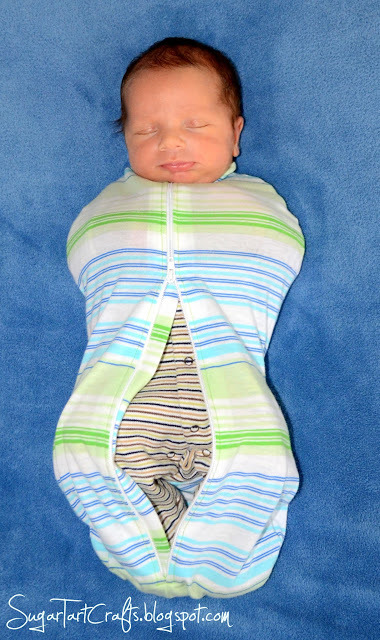 Unfortunately, I don't have plans to make another swaddler in the near future. Our little monster kinda exploded and has outgrown the need for any swaddling at all. (4 month old babies should not weigh 20 lbs!) I will add a video tute to my to do list, but can't say when I'll actually get around to putting one together. I'm sure you can understand the time and effort that go into shooting ANY video in a house with a baby and toddler in the background! I'm not able to pull up the patterns page is there any other way to get the template? Hi Amy, I would be glad to e-mail one to you if you'd like to send me your address. Thank you SO SO SO MUCH!!! I've been dying over Woombie but its inaccessible in our part of the world and shipping one over would cost even more than the swaddler itself! So I am SO HAPPY to have found your website and with such clear and beautiful instructions too!!! Thank you! 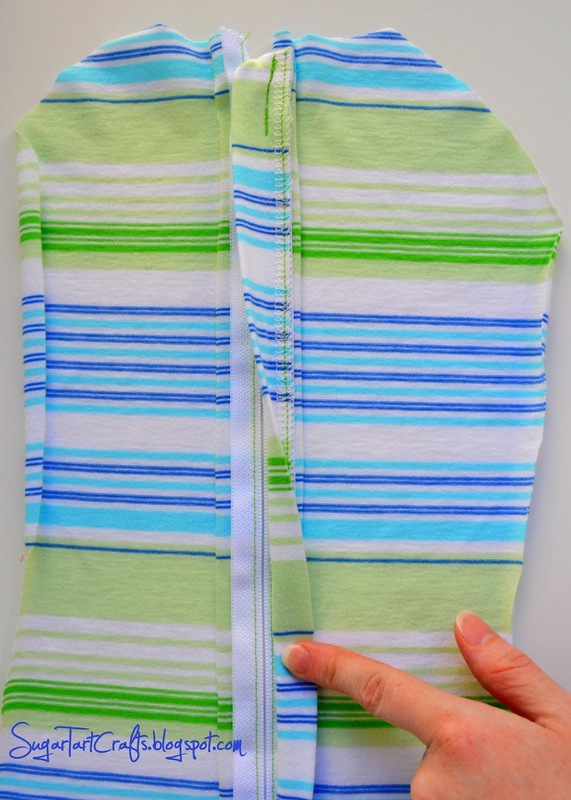 One question though: I have printed out the pattern twice by mistake (both times with a different printing program) and ended up with two patterns which are quite different in size… How long and wide this swaddler is supposed to be? Im making mine for a newborn and would like it to be tight and swaddly 🙂 Also The bottom part seems to be a bit bigger than the top one (by 0,5cm) So which one should I take as the right part? And once more – THANK YOU!!! So sorry for taking so long getting back to you, but this comment must have gone to my junk folder, and you didn't leave a way for me to reach you. :/ I just hope you check back. If the 2 lines along the left hand side of the pages measure at 3/4 inches then you have it printed out at the correct size. If for some reason the lines of both pages are at 3/4" but don't match up, I would just blend them together smoothly erring more on the side of the upper half. The bottom was meant to be large to open for changing, while the top needs to stay smaller to keep the arms from escaping. I want to commend you for your ingenuity on combining two zippers. 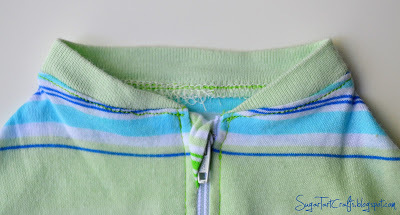 In my search for this type of zipper, for the same purpose, I came up with no retail sources for this type of zipper (despite me owning several purchased baby items that do in fact have these two way zips) & found a different solution…so I thought I'd share. I drafted my swaddle pattern & placed two zipper off center with about a 1 inch strip between. One zips top to bottom & the other is installed upside down. 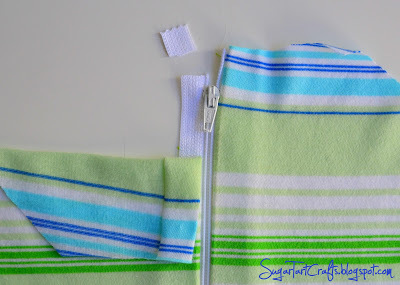 I just thought I'd share for those that may be intimidated to attempt to redo a zipper. That way you can serve the same function with a different approach. Kudos to you though – I never even considered dismantling zippers, never even thought it was a possibility! Wow, I've never been able to find any smaller than jacket gauge. Thanks you letting me know! I'll definitely check it out the next time I'm at the shops. Thank you so much for this tutorial! 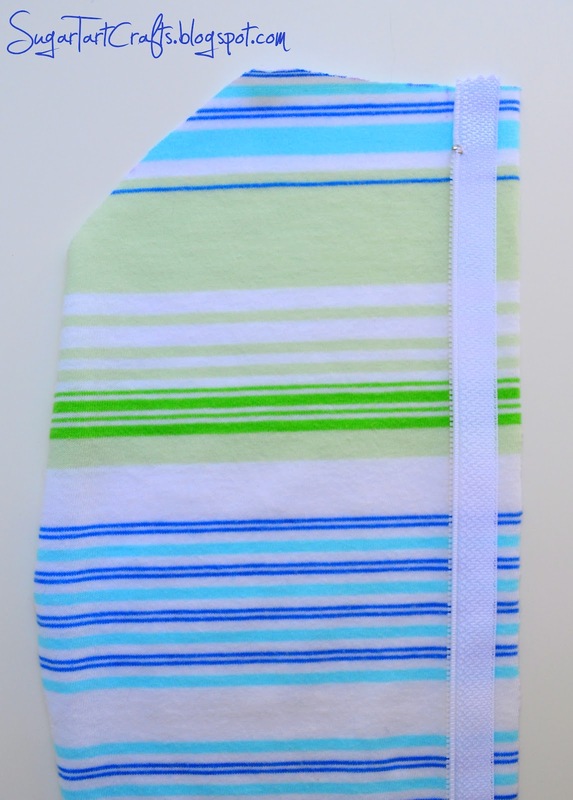 I just made one and it turned out mostly great – I tried to size up the pattern, and it turned out a little too big somewhere, so my little boy can still pull his hands up and get them to his face (just through the cloth) – but that's obviously my own fault for not sizing it right! He's outgrowing it so fast I'll probably need a new one soon anyways haha. I won't tell you how many times I sewed the zippers in wrong (I think 7), I had so much trouble determining what I was looking at in the photos, and I felt so dumb! But I finally got it right (or right-ish – when I got to the end I realized they still weren't 100% right, but it worked). 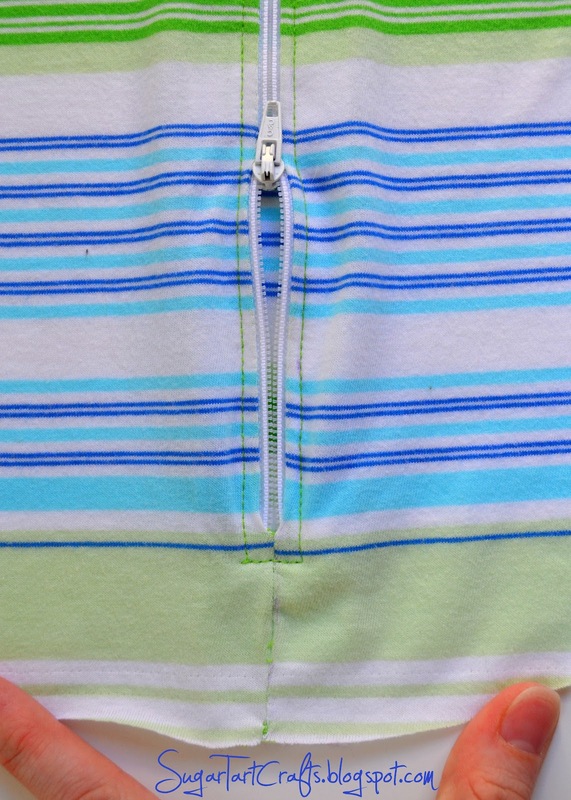 And once I was done assembling my 2-way zipper, I had a thought – why not just install the zipper upside down? 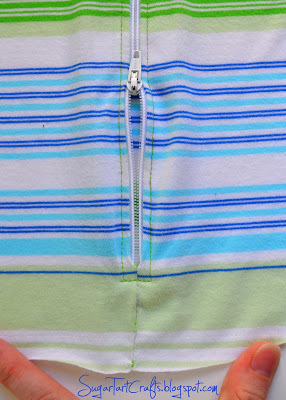 That way the only zipper pull is at their feet, no chance of it bothering them by sticking in their face or neck, and you can still easily unzip it for diaper changes. We have a HALO SleepSack, and I think that's how that one is as well. Anyways, just my thoughts, but overall I love it, I'm hoping to make another one for a baby shower gift soon!